Everyone talks about their Lean and agile approach to software development, but in most cases successful, efficient software engineering needs something more… experience and leadership. That’s STA Group. 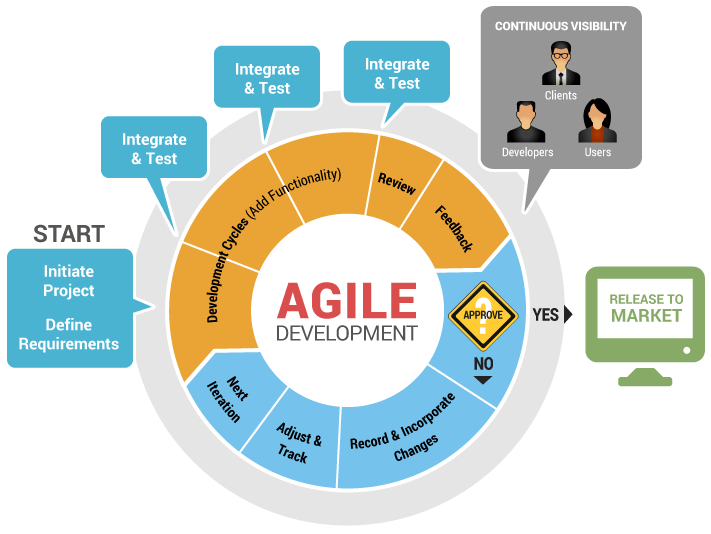 We utilize the Agile development methodology that offers STA’s clients a high-level of engagement and rapid development results that are iterated to maintain clear direction. STA has experience working as part of in-sourcing, near-sourcing and out-outsourcing structures in multiple roles. Our clients determine the optimal structure for them. We encourage our clients to designate a 100% allocated product owner, who identifies what work is to be done as a prioritized product backlog. At the beginning of each sprint, our team pulls in enough items from the top of the backlog that can be completed during a sprint based on our experience. Each day our team meets to coordinate the work for the day surface impediments to meeting the day’s goals. Throughout the engagement, the Scrum Master keeps the team focused and removes impediments. At the end of each sprint, the team demonstrates the work completed during the sprint to the product owner and all work completed is production-ready. We repeat these sprints until we have completed the project and have driven success for our client.